Halloween kertas dinding. kertas dinding of Rob Zombies Halloween. 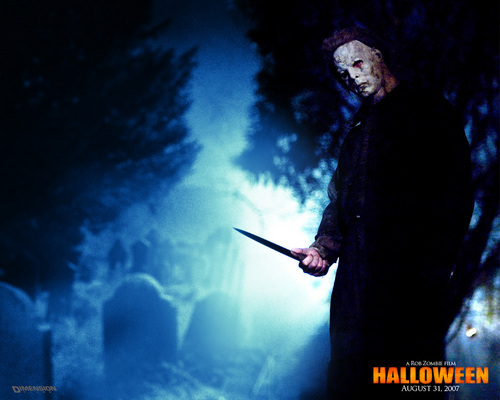 HD Wallpaper and background images in the Filem Seram club tagged: horror films horror movies halloween wallpaper. I love this wall paper! It gives me chills everytime i look at it on my screen.....i cant wait for the new halloween 2 to come out...im so excited! yeah it is very creepy :D.
My nefue is scared of Michael Myers, Carrie, and Chucky! I love all of Rob Zombie movie's and music it is awesome!!!! !